Cut the watermelon into medium-sized chunks. In a blender, puree half of the watermelon, or enough for four cups of puree. Add lime juice and honey, blend. Divide into four cups and top with sparkling water. Muddle ginger root and lavender buds with honey in a cocktail shaker. Add ice, green tea and lemon juice, and shake vigorously. Strain between four martini glasses. Combine honey, mango puree and lime juice in cocktail shaker, and shake vigorously with ice. Strain into four glasses over ice, and top with one cup ginger beer. Pre-heat oven to 225 degrees F. Grind your cannabis flower, place it in a small oven-proof dish and cover tightly with aluminum foil. Activate your cannabis in a heated oven for one hour. Remove and allow to cool completely before uncovering. 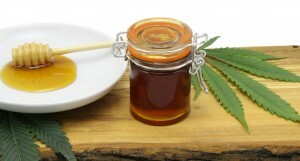 Combine cannabis, honey and lecithin in the slow cooker, and set to low. Cook honey in slow cooker for six to eight hours, thoroughly stirring every hour. Agitation is the most important step in this process. When finished, place the colander inside a large bowl to collect the finished product. Place the cheesecloth inside the colander and pour the honey mixture through. Most of the honey will filter through by itself, but at the end you can gather the ends of the cheesecloth and use a pair of tongs or an oven safe glove to squeeze out any remaining honey. Store in a cool dark location, and stir before use. Next post: What do the Slave Trade and Your Favorite Drink Have in Common?